Archives provides a centralized repository and archivist for historical material of value to the Society. This committee was established in 1966 to provide a centralized repository and archivist for historical material of value to the Society. The committee consists of an Archivist, an Historian and an Assistant Historian. The Archives Committee (comprised of the Society's Historian and Archivist) will work with the Archives Division of the Smithsonian Institution to assure that appropriate documents of the American Society of Mammalogists are added to existing Archives of the Society. The Archives of the Society are professionally managed by the Smithsonian Institution under written agreement. The Archivist will work with researchers to be certain that they have appropriate access to the Society's Archives. The Historian will work with the Archivist to assure that the documents delineated above are obtained and added to the Society's Archives. 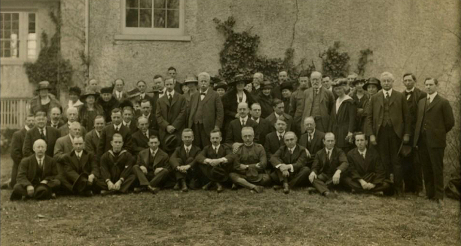 The Historian will be responsible for keeping a photographic record of the activities of the ASM and will work with members to obtain photographs taken by other members of the Society. The Historian will solicit résumés and photographs from Presidents, honorary members, and awardees. The Historian will from time to time publish in the Journal of Mammalogy articles elucidating the history of mammalogy and of the American Society of Mammalogists. These articles will be handled by the Journal Editor to assure their high quality and prompt publication. The Historian will work with the President to have an Assistant Historian appointed as necessary to address special projects relating to the Society's history and archives. 2007—Eduardo Secchi, Departamento de Oceanografia, Fundação Universidade Federal do Rio Grande, Rio Grande, Brazil. Past versions of our bylaws are below, and our current bylaws are found here. ASM has a scientifically important and interesting history. Below are a number of images, articles, and biographies documenting our heritage. Genoways, H. H., and P. W. Freeman. 1997. Twenty-five years of the Shadle Fellowship. Journal of Mammalogy, 78(2):336-341. Genoways, H. H., and P. W. Freeman. 2001. Evolution of a scientific meeting: eighty annual meetings of the American Society of Mammalogists, 1919-2000. Journal of Mammalogy, 82(2):582-603. Hoffmeister, D. F. 1959. A chronological history of the American Society of Mammalogists. Journal of Mammalogy, 40(2):276-277. Hoffmeister, D. F. 1969. The first fifty years of the American Society of Mammalogists. Journal of Mammalogy, 50(4):794-802. Hoffmeister, D. F. 1994. Hartley H. T. Jackson and the American Society of Mammalogists. Journal of Mammalogy, 75(1):i-ii. Hoffmeister, D. F. 1994. C. Hart Merriam: "Father" of the organizers of the American Society of Mammalogists. Journal of Mammalogy, 75(2):i-ii. Hoffmeister, D. F. 1994. The importance of the United States Bureau of Biological Survey in the formation of the American Society of Mammalogists. Journal of Mammalogy, 75(3):i-ii. Hoffmeister, D. F. 1994. The influence of university and museum professionals in the formation of the American Society of Mammalogists. Journal of Mammalogy, 75(4):i-ii. Stein, B. R. 1999. Women in mammalogy: The early years. Journal of Mammalogy, 77(3):629–641. Storer, T. I. 1969. 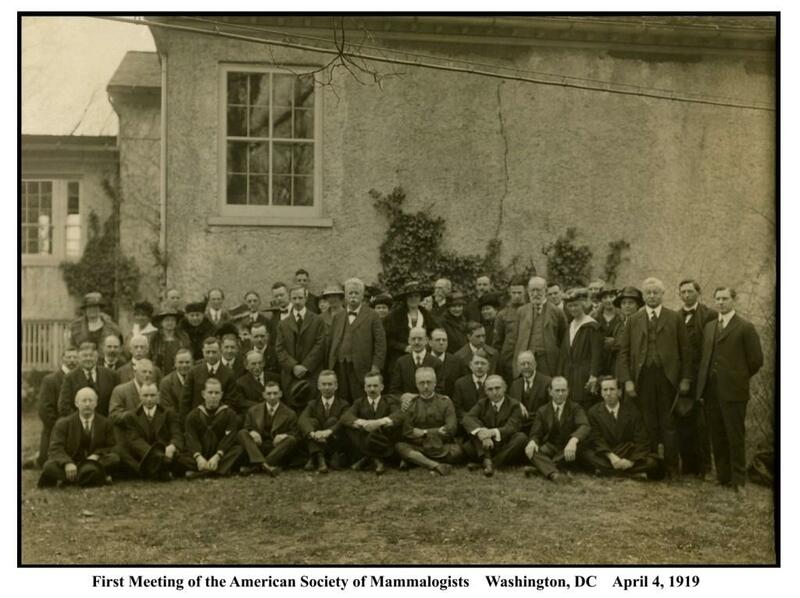 Mammalogy and the American Society of Mammalogists, 1919-1969. Journal of Mammalogy, 50(4):785-793. ASM has been led by a variety of interesting, colorful, and historically important scientists. See biographical material and images of some of our founders and early presidents here.